Artist :: U2 : Bono, David Howell Evans, Adam Clayton, Larry Mullen Jr.
Get Famous! Send me your music remix using U2’s loops. I’ll add them on this page for everyone to enjoy! U2 is a rock band from Dublin, Ireland. 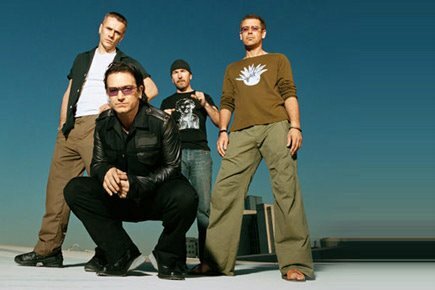 The band consists of Bono (lead vocals and rhythm guitar), The Edge (lead guitar, keyboards, and backing vocals), Adam Clayton (bass guitar), and Larry Mullen Jr. (drums and percussion). U2 have been one of the most popular acts in the world since the mid-1980s. The band has sold more than 170 million albums worldwide, and has won 22 Grammy Awards, more than any other rock band.